The Dodgers need to start spending money like right now, otherwise they stand to jeopardize themselves winning a 4th straight NL West title in 2016. Both the Giants and D’Backs have signed ace pitchers this year, and added another good Starting Pitcher besides the point. The club does have several young pieces and Depth at Roster to pull off a blockbuster trade forth coming – or they still have enough resources to acquire players for their 2016 run. The clock is officially ticking gentlemen. The Dodgers are having the same kind of offseason the Baltimore Orioles had in 2014 – going into 2015. If everyone remembers that year, they rejected a couple year contract with Grant Balfour, when he failed a physical, and they did the same thing with Grady Sizemore. That club also traded back to back 50 Saves guy Jim Johnson. By the way, the 2014 O’s won the AL East with a 97 – 65 record. Key cogs in the wheel were new Closer Zach Britton, and Super Utility man Steve Pearce. A lot of parallels can be made between that squad and the Dodgers. Late last week, the Dodgers pulled out of a three year deal wish Hisashi Iwakuma because they had concerns with a physical. Holds is a category that is starting to garner more respect each and every campaign in the MLB. 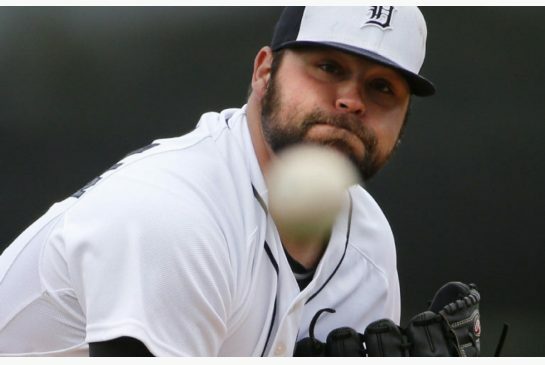 Having said that, it doesn’t always mean the pitcher is throwing well if he owns a lot of them for the year. It is just one stat that should be accompanied by others. When searching to figure out who will have the most of these in a season, it is important to see the amount of games the guy will enter. For the last several years, Tyler Clippard has dominated in the National League With his trade to the American League, it opens up the leaderboard for this campaign. It has been said, that the former Nationals Reliever will see some mop-up duty as a closer for the A’s to start the year. Had Sean Doolittle been healthy from the start of the year, I would have placed a massive wager that Clippard would lead the MLB in Holds one more time. The Nationals have done a great job of stockpiling pitching arms since relocated to the district in 2005. From Stephen Strasburg, to Jordan Zimmermann, and unheralded pitchers like Craig Stammen and Ross Detwiler. The acquisitions tree saw Minor League Prospect A.J. Cole drafted by the organization, traded to Oakland in the Gio Gonzalez, only to be brought back in the 3 way deal with the A’s and Seattle, that saw Mike Morse sent to Seattle. A small part of that transaction included Ian Krol, who was packaged with two Nats selections in the MLB Amateur Draft (Robbie Ray and Steve Lombardozzi). We have even traced a tree that stems all the way back to the Montreal Expos Drafting Jose Vidro. A big thank-you must be send to Yanks GM Brian Cashman, for giving the Nationals Tyler Clippard first, but then to also let Matt Thornton be claimed for no parts going back the other way. 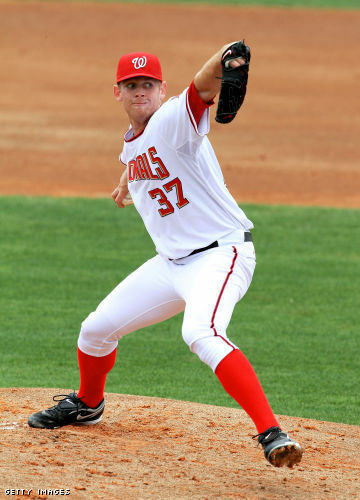 Drew Storen is yet another 1st RD Draft Pick that is part of the Pitching Staff for Washington. Tanner Roark was also stolen in a deal for Christian Guzman from Texas, with the latter having just a small cup of coffee with the Rangers organization, while Roark might have been the best #5 Starter in baseball this past campaign. The Washington Nationals have had an escalating salary structure for the last few years. The truth is that their talent needs to be paid as time goes on. In 2014, the Budget is looking to be around $130 MIL so far, after just being over $110 MIL. The situation is more expensive next year, with 10 players under the Arbitration Eligible – highlighted by Stephen Strasburg for his 2nd year of it. It was an innocent enough radio interview. The standard with Mike Rizzo late in the off-season with nothing happening. He was asked if everything on the checklist had been marked off and answered in the affirmative and then was asked if there were still moves left to be made. To this question Mike Rizzo gave the standard and cliched GM answer of anytime we can do anything to improve the club that makes sense for blah blah blah. You get the idea. There was nothing special at all about this interview. It was a time filler between Redskins talk on a local Washington DC radio station, but there was something in Mike Rizzo’s voice. Strasburg and Harper are the franchises future. Through drafting and smart trades, the club is now considered one of the best talented clubs in the MLB as of now. Despite dealing with several injuries this current 2013 season – the future is definitely bright in DC. The club has strong pitching in the Major Leagues – with some help coming for more years to come. They have potential ALL – Stars in almost every position. Lets see how all of the players were acquired. At the MLB Reports, we intend to show you the Roster Tree for the Washington Nationals – and how they assembled their current roster for hitting and Pitching. It will work in a six degrees of separation like format. If a player has never left the organization at all, the tree will be easy – as it will just be the year they were drafted or signed. The Nationals are one of 2 teams in the MLB (The Mariners is the other) that have never made a World Series Appearance. Will this change in the Year 2013? By Ryan Dana (MLB Reports Writer): Follow @RyanDana1. It’s clear that the Washington Nationals have turned the corner as a franchise on the rise. Their most recent high included a 2012 campaign that had them winning 98 games in the regular season, good for the most in the majors, but ended with heartbreak in a game 5 loss in the NLDS at the hands of the St. Louis Cardinals. Moving forward to 2013, the Nationals will certainly hope to make it deeper into the playoffs, but it will be easier said than done. The Nationals have shown patience in the past, but have made some aggressive moves this off-season. Note from Chuck Booth: I am attempting to bring the history for each of the 30 MLB Franchises into a 5 part series that will focus on 1. The teams history. 2. The hitters 3. The pitchers. 4. The Team’s Payroll going into in 2013 and 5. (The stadium articles will all be done next summer when I go to all of the parks in under a month again.) To follow all of the updates, be sure to check my author page with a list of all archived articles here. 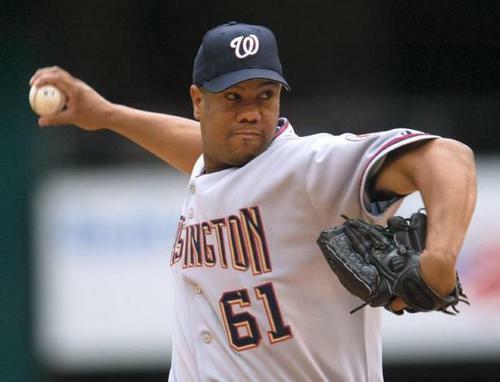 Livan Hernandez leads the 2005-2012 version of the franchise in ALL-Time wins and innings pitched. Chuck Booth (Lead baseball Writer and @chuckbooth3024 on twitter)- I think it safe to say that the best days of the Washington Nationals are purely ahead of them. They have a great nucleus of young talent with Stephen Strasburg, Bryce Harper, Drew Storen, Ryan Zimmerman, Ian Desmond, Danny Espinosa, Mike Morse and Gio Gonzalez. These guys are so good that they all made the ALL-Time 25 man roster for the 2005-2012 Washington Nationals. I am a firm believer that these guys will be the best team in the National League within 2 or 3 years. I like Ted Lerner’s attitude on spending for now. This will ensure the money will be spent on the team to keep competing for the city of Washington’s 1st World Series Title since 1924. I would venture to say that not many living fans of the old Washington Senators saw the club hoisting the trophy 88 years ago. The Nationals Park went soaring up my ranks as a baseball venue to see in the 30 stadium circuit. This place is now electric. I was so elated when I was able to see Strasburg pitch and win for the Nationals back in April. Next year I hope to see Bryce Harper play ball when I go on another 30 park tour. Next year is when I will have the official rankings of all of the ballparks posted here. I can assure you that the President’s Race will probably be voted the most popular race of any in the Majors at the parks. My humblest of apologies to the sausage race fans in Milwaukee and racing legend heads in Arizona. I still follow the campaign to ‘Let Teddy Win’, however that may take all of the fun out of it if Teddy does win one of those races. As a fan of the old Expos franchise, I have a soft spot in my heart for the Washington Nationals. Playing meaningful baseball in September and October this year would be incredible to witness. So without further speak, let us start with our 25 man roster for the best players in the last 8 years. I picked the roster based on longevity or utter greatness for a couple of players. If this team was to play an alumni game right now, all of the positions would be filled. I don’t think I excluded anyone entirely crucial here. Please feel free to let me know if I did on any social platform. If you make a solid case for someone for whom I may have omitted, I could always add them later. 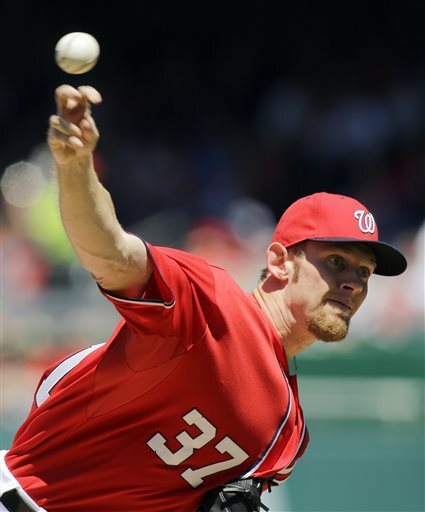 Here is the highlight reel from Stephen Strasburg’s debut at Nationals Park. 14 Strikeouts is amazing!